Commercial offices, NHS hospitals, retail and restaurant outlets and learning spaces. 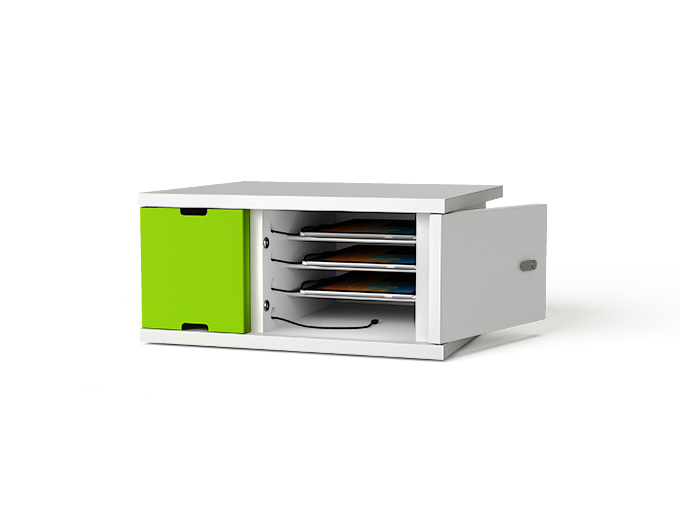 Melamine-faced MDF carcase with compact laminate top. 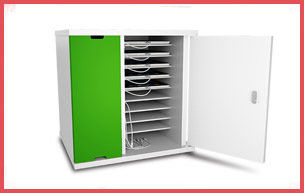 Compact, robust and very simple to use charge and store cabinets for 4, 10 or 12 iPads, iPad mini, tablet computers and other mobile devices. 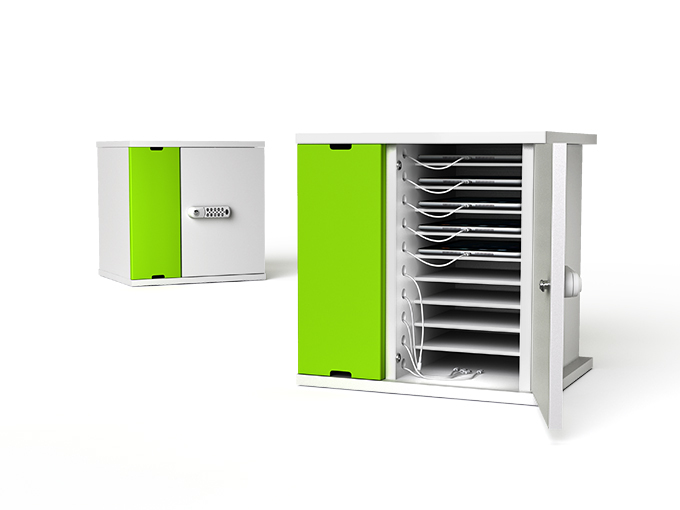 Separate USB cable storage, with only a short length of cable presented to each shelf – so no cable mess, no accessible USB sockets for users to break and no cables going missing! Available with device AC adapter storage or integrated USB power. 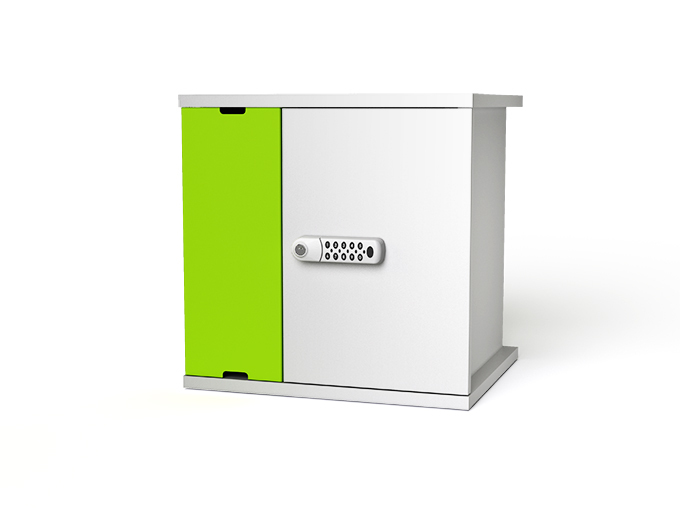 All cabinets / stations have the choice of a digital code, RFID or key lock. 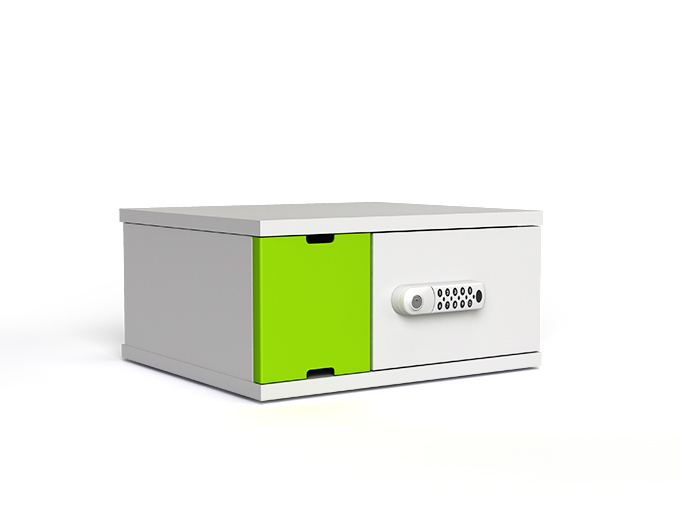 Digital code lock has a master key override. 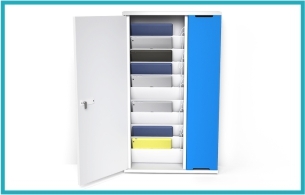 Shelf size to accommodate all standard iPad & tablet cases. 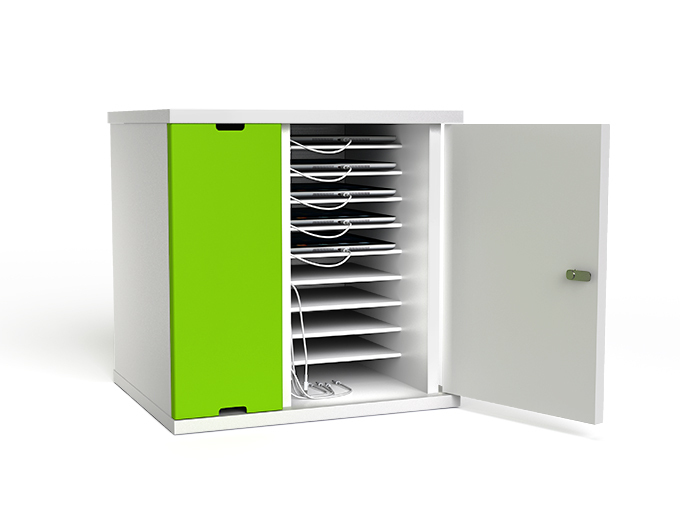 Lockable door folds back 270 degrees for easy access. Smooth, easy to clean surfaces. Optional brackets for securing the cabinet to a wall & for wall mounting.